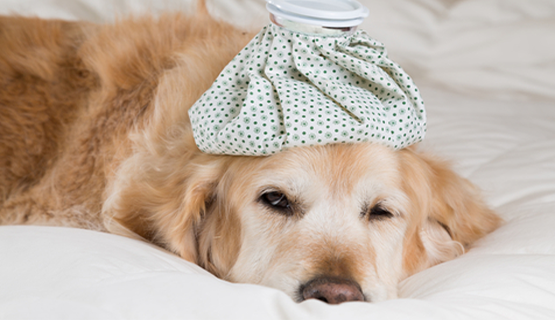 Seizures are one of the most frequently reported neurological conditions in dogs. A seizure may also be called a convulsion or fit and is a temporary involuntary disturbance of normal brain function that is usually accompanied by uncontrollable muscle activity or involuntary body function. 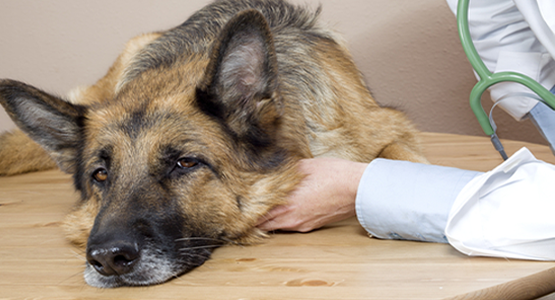 During a seizure, your pet may not respond to you, may convulse, or may fall on one side and become stiff. Other common symptoms include excessive panting, drooling at the mouth, uncontrolled urination, loss of bowel control, chomping, random vocalization, paddling with all four limbs, fluttering eyes, collapsing, jerking, stiffening, muscle twitching, loss of consciousness, drooling, chomping, tongue chewing or similar behavior. The average canine seizure duration is about two minutes. If a seizure lasts over five minutes, your dog is more at risk of falling into a coma or having internal organ damage. In some cases a dog will only have a partial seizure. In which case the seizure will only affect a small part of the dog’s brain, and be seen in only one limb, one side of the body, or just its face. Once the seizure is over, your dog may behave normally. However, most post-seizure dogs will display altered behavior for up to 24 hours or more. This includes confusion and disorientation, pacing, increased thirst, compulsive behavior, momentary blindness, and sometimes an increased appetite. With some dogs recover immediately. Generally younger dogs have more severe epilepsy. When the onset is before the age of two, the condition will respond positively to medication. But the more seizures a dog has, the more likely there is to be damage among the neurons in the brain. Most animal seizures are caused by issues that also cause seizures in people. 2) The ictal phase is the seizure itself and lasts from a few seconds to up to five minutes. During a seizure, the dog may lose consciousness or may just have a change in mental awareness ("absence" seizures or hallucinations such as snapping at invisible objects). If the dog experiences a grand mal, or full-blown seizure with loss of consciousness, all of the muscles of the body contract spastically and erratically. The dog usually falls over on its side and paddles its legs while seeming to be otherwise paralyzed. The head will often be drawn backward. Urination, defecation, and salivation may occur. If the seizure has not stopped within five minutes, the dog is said to be in status epilepticus or prolonged seizure. Status epilepticus is considered an immediate emergency and medical help should be sought. "Dog may feel confusion and perhaps panic." (cluster seizures), or if a seizure continues for longer than a few minutes, the body temperature begins to rise. If hypothermia or an elevated body temperature develops secondary to a seizure, another set of problems may have to be addressed. It is best to consult your vet to determine the source of your dog’s seizures. 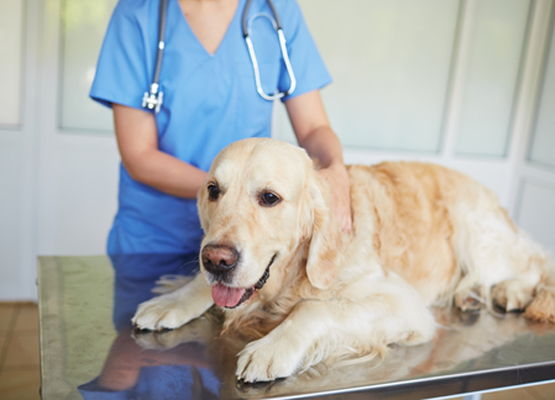 After a dog has a seizure episode, your veterinarian will begin by taking a thorough history, concentrating on possible exposure to poisonous or hallucinogenic substances or any history of head trauma. The veterinarian will also perform a physical examination, blood and urine tests and sometimes an electrocardiogram (ECG). These tests rule out disorders of the liver, kidneys, heart, electrolytes, and blood sugar levels. A heartworm test is performed if your dog is not taking heartworm preventative monthly. If these tests are normal and there is no exposure to poison or recent trauma, further diagnostics may be recommended, depending on the severity and frequency of the seizures. Occasional seizures (less frequently than once a month) are of less concern, unless they become more frequent or more severe. In this instance, a spinal fluid analysis may be performed. Depending on availability at a referral center or teaching hospital, specialized techniques such as a CT scan or MRI may also be performed to look directly at the structure of the brain. Remain calm. Getting upset or panicking will only make your dog more anxious, your dog needs you to assure him that everything will be OK. Definitely stay away from your dog’s mouth, as you could get unintentionally bitten. If the seizure continues for more than a couple minutes, your dog will be at risk of overheating. Turn a fan on your dog and pour cold water on his paws to help him cool down. If your dog has a seizure that lasts more than 5 minutes or if he has several in a row while he’s unconscious, take him to a vet immediately. The longer a seizure, the higher a dog’s body temperature can rise, and there are several problems that can arise that need immediate attention from a vet. 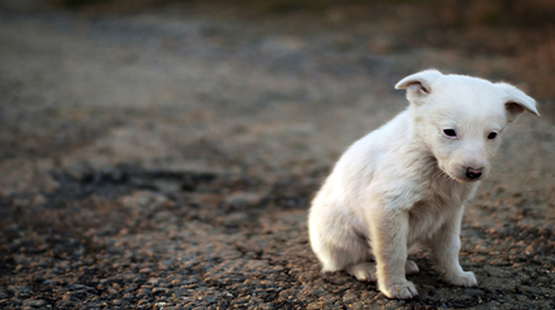 Any age, breed, or temperament of dog can experience seizures. 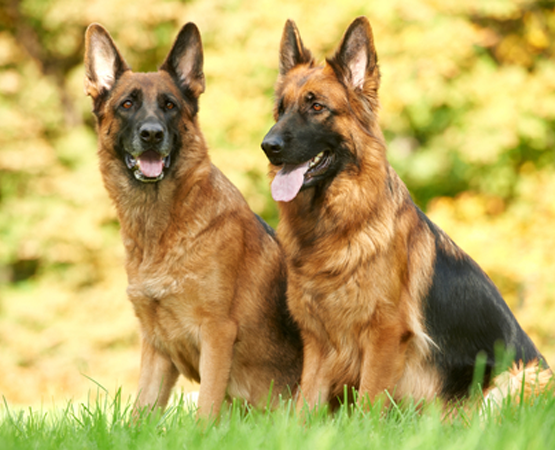 However, higher incidences are seen in Border Collies, Australian Shepherds, Labrador Retrievers, Beagles, Belgian Tervurens, Collies, German Shepherds, Shetland Sheepdogs, Golden Retrievers, Keeshonds, Vizslas, Finnish Spitz, Bernese Mountain Dogs, Irish Wolfhounds, English Springer Spaniels and any combination of these breeds. Originally published in the June 2014 issue of Veterinary Practice News – see original text for citations. Decades of research indicate that CBD yields notable anticonvulsant effects with minimal neurotoxicity. It reliably reduces neuronal activity and seizure severity… CBD affects several endogenous cannabinoid pathways simultaneously, demonstrating a multiplicity of neuropharmacological mechanisms of action. In fact, many integrative approaches for epilepsy also affect endocannabinoid states, including acupuncture along with certain nutritional supplements, herbal medicines, dietary changes, and, of course, hemp. 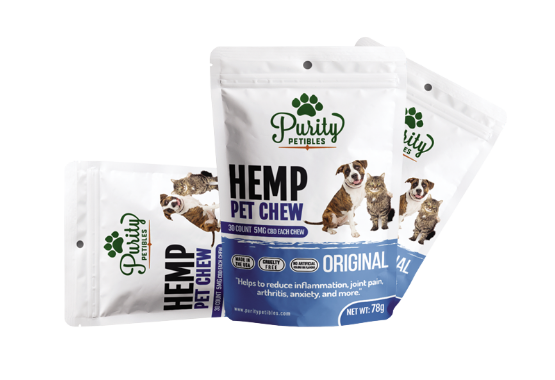 A recent study by Colorado State University found that among those with an opinion, 92% of participants found that hemp products helped to relieve dog seizures to some degree. For some the reduction was more significant than for others. Studies on the use of CBD in animals are few. However, many initial studies show that the benefits for any mammal is similar to the benefit for humans. All mammals have an endo-cannabinoid system. Anecdotal reports seem to confirm various benefits of CBD for pets including relief from pain, arthritis, seizures, anxiety and lack of appetite. Animal caregivers have also reported positive outcomes in addressing irritable bowel syndrome, noise phobias and separation anxiety. The Department of Clinical Sciences in the College of Veterinary Medicine and Biomedical Sciences at Colorado State University in Fort Collins, Colorado, conducted a study to assess which hemp products pet owners purchase, the reasons for their purchases, and the perceived value of these products to pets’ health. 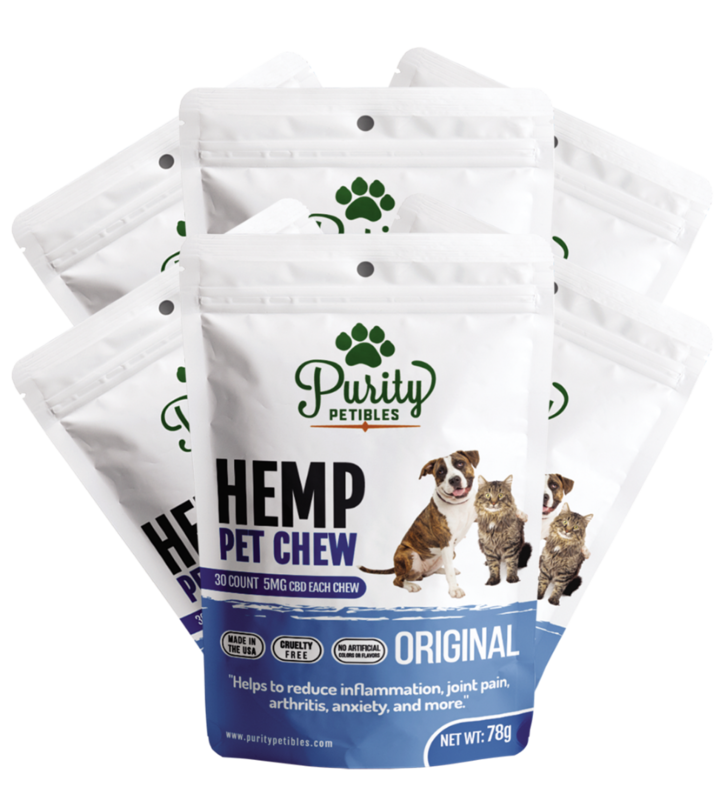 An anonymous online survey of pet owners, who were customers of an online hemp product supplier, yielded 632 responses: 58.8% of responders indicated they were currently using a hemp product for their dog. 77.6% of dog owners were using the product for an illness or condition that had been diagnosed by a veterinarian; the most common conditions included seizures, cancer, anxiety and arthritis. 11.93% of participants were using hemp products for cats. 81.8% of cat owners were using the product for a veterinarian-diagnosed condition; most common were seizures, cancer, anxiety and arthritis. For dogs, reported positive results from the use of hemp products were highest for pain relief (64.3%), followed by help with sleep (50.5%), and relief from anxiety (49.3%). The most frequently reported side effects were sedation (22.0%) and over-active appetite (15.9%). For cats, the areas reported to be most positively impacted were pain relief (66.0%), inflammation reduction (56.3%), and help with sleep (44.0%). The most common side effects in cats were also sedation (19.2%) and over-active appetite (16.0%). Side effects were rarely noted as a reason for discontinuing a product. The reason most often given for using the products was the preference for a natural remedy. The results of this study support the growing number of anecdotal accounts of the successful use of CBD and other hemp products for pets. 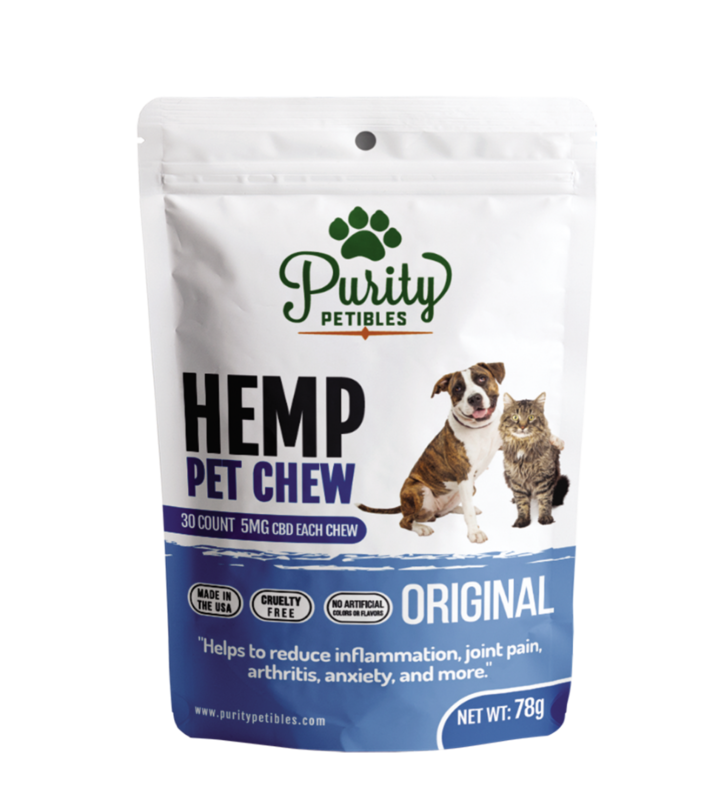 It also provides guidance for further research and clinical trials on hemp’s use for pets in areas such as pain management, sleep disorders, anxiety, and inflammation reduction. CBD is available for pets in various forms including edibles (treats), tinctures and mouth sprays. Our formulations combine specific cannabinoids to contribute to the overall well-being of your pet. Buy with care for your best friend. Not all CBD pet products are tested for purity and may not disclose all ingredients or by-products. There are a limited number of studies that have established dosage levels for CBD in pets so always consult a trusted veterinarian before administering or if you have questions about its use. We love our furry friends and our quality CBD products made from industrial hemp have been produced with the finest ingredients and purest hemp oil for the best benefit of your pet. Dr. Narda Robinson, of Colorado State University’s College of Veterinary Medicine and Biomedical Sciences, is a leading authority on veterinary scientific integrative medicine. Her research has been cited in this article. I welcome you to further research her study results. 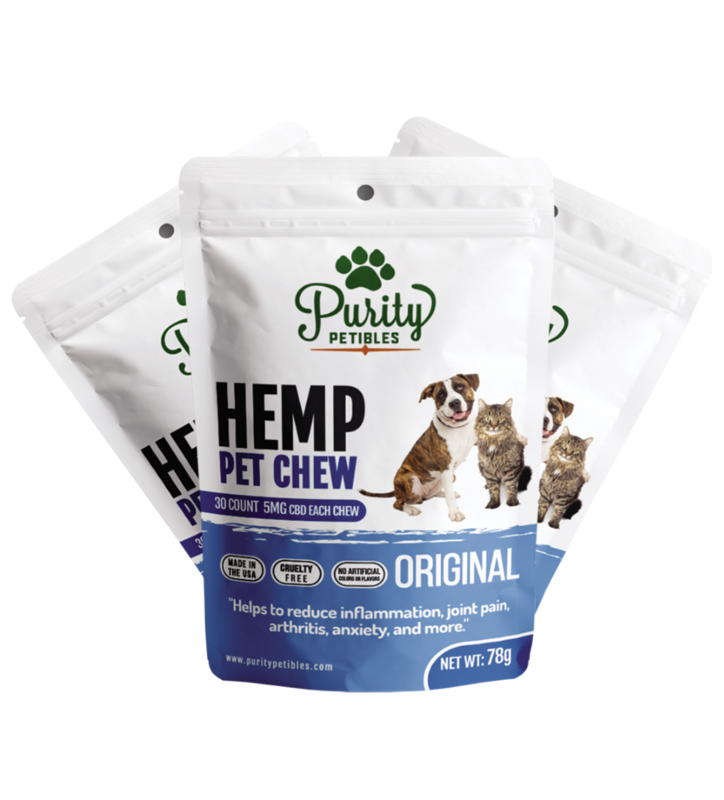 There are no guarantees that Purity Petibles with hemp CBD will be the right product for your pet, but we have done our best to ensure that our product has the finest ingredients. There is ZERO THC in our products and the highest quality CBD available. As you just read, CBD has been found to be very beneficial for pets and people with seizures. There is no known way of over-dosing on CBD. However, please read the dosage on our package carefully and treat your dog carefully. We wish you and your pet health and happiness!